Happy Friday, you guys! Today I just wanted to give a shoutout to some of our newest Vendor Guide Members! You all truly are the #BestOfTheBest and I'm just so grateful to have the opportunity to represent so many talented pros! 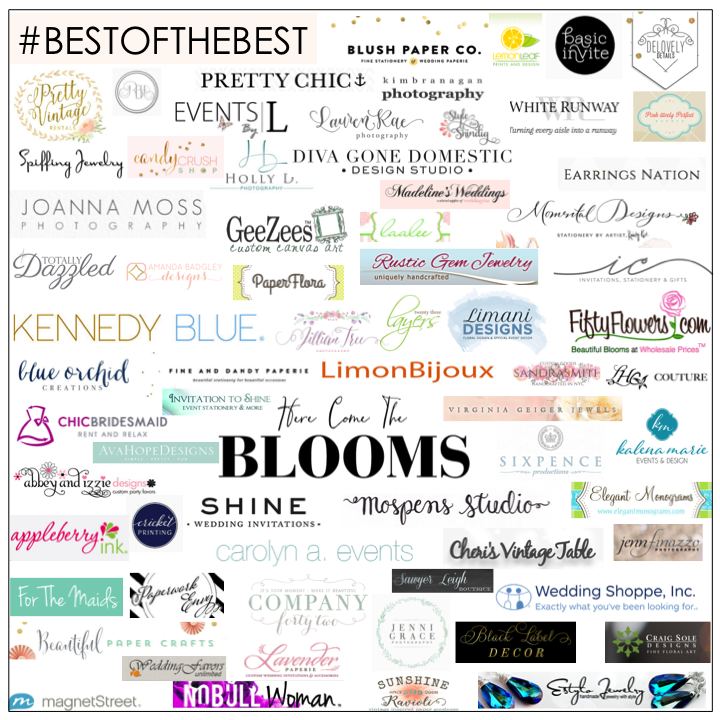 From floral designers to photographers, to all of my fabulous handmade artists, and everyone in between, it's true... You guys have put our Vendor Guide on the map as one of the top go-to resources for all those planning couples out there! And your success stories? So inspiring! What a joy it is to see each and every one of your businesses grow each day. Thank you to everyone who joined the guide during our early bird phase before there were hardly any listings! Now, I'm proud to say that we have over 100 pros in 18 categories! Pretty awesome for a guide that's only 6 months old! If you'd like to learn more about our Vendor Guide, simply pop on over here and you'll find all the info regarding how to join, and you can read about all the fab perks! Tons of talent in this group, you guys! No Comment to " Join Our Vendor Guide! "